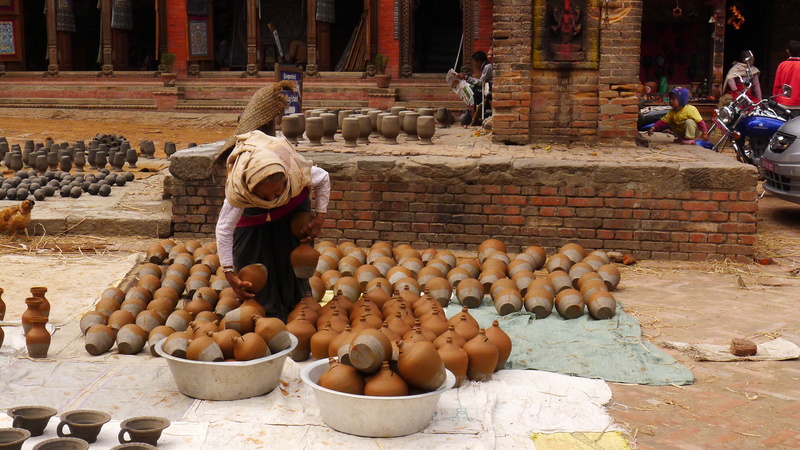 The street is cleared at the end of the day, as an old lady picks up the pots that have spent the day drying in the sun alongside parked cars and motorbikes. 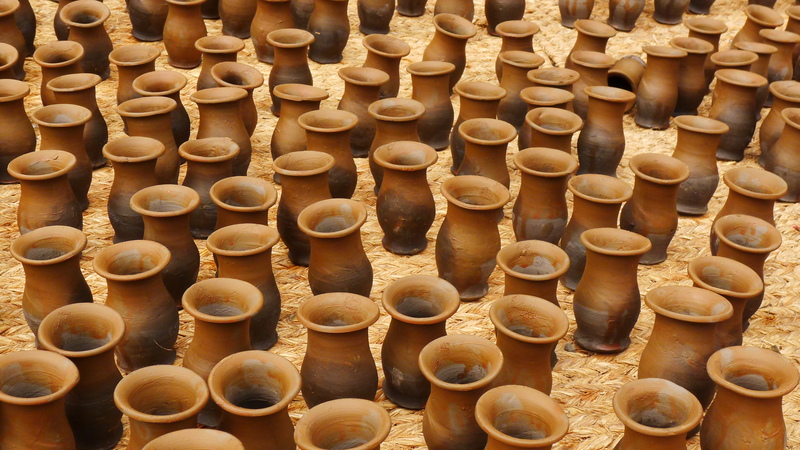 Here the pottery is still spun by hand on a stone wheel and baked in fire kilns. This post participated in the Weekly Photo Challenge: Street Life. Weekly Photo Challenge: Street Life | The other pictures. Thank you! I think she goes through that routine every day. Awesome shot! What a job to line those up and take down each day. I know..what a job! I wasn’t able to stand around long enough to watch her carry those tin buckets on her head, but that’s exactly what was happening next! Wow… so amazing how some people still do it ‘old school’. I guess whatever works.